Where children feel at home while they learn & grow! The early learning years play a crucial role in a child’s future education and learning. That is why our curriculum is carefully planned to educate and assist in the development of the whole child. Our lessons, developed with input from each classroom teacher, supports learning through play as well as guided activities that allow the children to move from small and large group activities throughout the day. The objective is to work with children individually in order to develop and grow their skills, including language, social-emotional, physical, cognitive and creative. We do this by creating intentional play and guided activities in the areas of math, science, small and large motor, language and art and music. We work together with families to assess each child to build upon his or her strengths and create a plan to assist in any under-developed areas. We do this through age-specific assessments that are shared with parents. We also collaborate with Early Intervention Services for children with additional developmental or education needs. Children will find they are learning and growing while they are having fun. Many opportunities exist for children to explore the classroom with their peers, while developing skills based on their interests. Our activities, themes and events change throughout the year to reflect the needs and interests of a particular group of children. 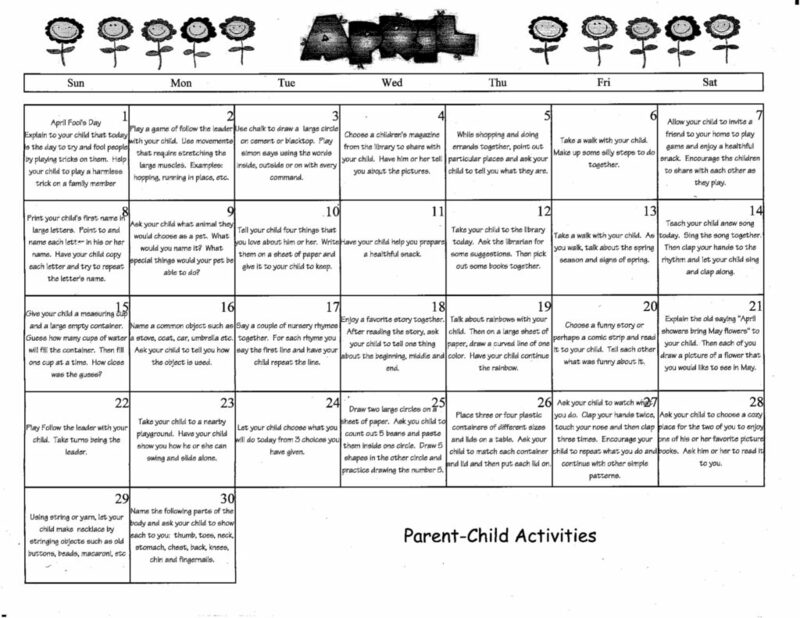 This information is sent home on a monthly basis, along with extended activities for parent and child to do together at home. 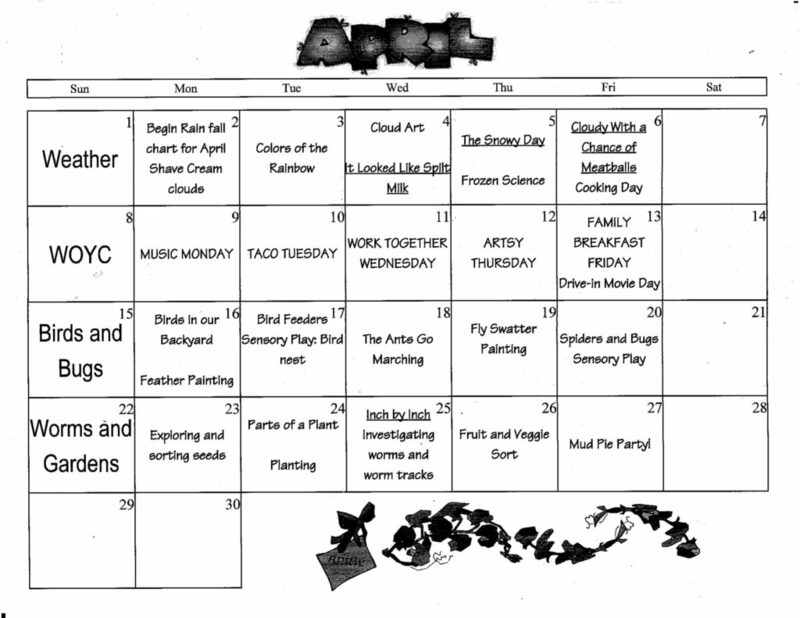 These calendars are just a snap shot of our classroom activities and lessons.